MONTGOMERY COUNTY, Ind. 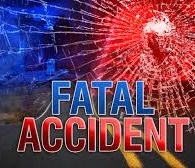 – A Terre Haute man was killed Tuesday morning in a road construction accident. It happened on I-74 in Montgomery County. Police say that the 49 year old man who’s name has not yet been released, was employed by ICC was hit by a large steel beam that fell from a support post. Co-workers were unsuccessful in their rescue efforts. INDOT and OSHA are investigating.